Part kits from RockAuto are a convenient way to save time and ensure success. Brake kits include premium matched pads and rotors for quick, controlled, quiet stops. Power Stop brake kits for all four wheels currently start at around $200 for the RX-8. 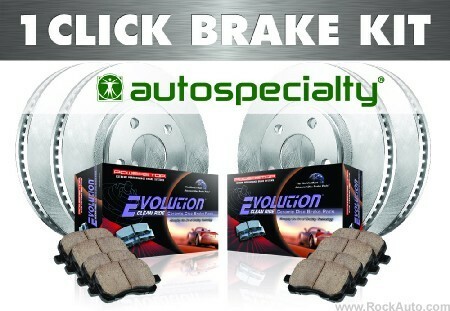 Find brake kits and parts for your specific vehicle under the Brake/Wheel Hub category at RockAuto.com.